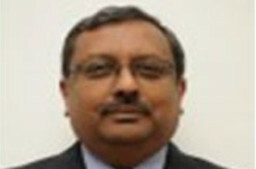 Abu Dhabi: T. P. Seetharam, the Indian Ambassador-designate to the UAE has assumed office on Monday at the Indian Embassy in Abu Dhabi. He is expected to present his credentials to the UAE President His Highness Shaikh Khalifa Bin Zayed Al Nahyan, an Indian Embassy statement said. Previously, he served as Indian envoy to Mauritius from September 2011 to November 2013. Seetharam has handled India’s bilateral relations with individual nations in Europe as well as the European Union in New Delhi as Additional Secretary, West Europe during 2010 — 2011 and as Joint Secretary Central Europe during 2009 — 2010. With Permanent Mission of India in Geneva, he was Minister (Disarmament) dealing with Conference on Disarmament during 2000 — 2003. He has worked as Deputy Chief of Mission in Bangkok (Thailand) and also served in Indian Embassy in Phnom Penh (Cambodia) during 1992 — 1993. Besides these diplomatic roles, he was a Press Secretary to former Indian president K.R. Narayanan during 1997 — 2000. Seetharam has considerable experience in Southern Africa having worked in Lusaka, Zambia (1984 — 1986) and having helped open Indian offices in Windhoek, Namibia (Jul 1989 — Nov 1989) as well as in Johannesburg (1993 — 1995) and Cape Town (1996 — 1997) in South Africa. A Chinese (Mandarin) speaking officer of 1980 batch, he was Director General of India-Taipei Association (2007 — 2009) and has worked with Indian Embassy in Beijing (1990 — 1992) and Indian Commission in Hong Kong (1982 — 1984). Born in Valliyil family in Kayamkulam, Kerala in 1956, Ambassador Seetharam is married to Deepa of Elenkath family in Trivandrum. They have a son Navneeth and a daughter Devi.